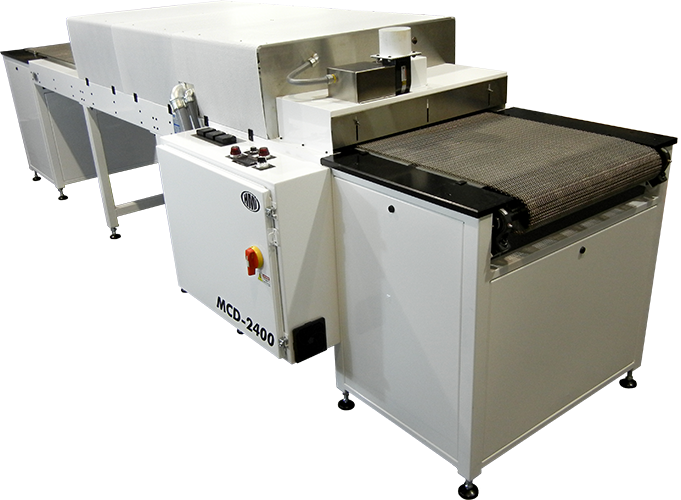 The HMI MCD Series IR Dryer is available with a 14", 24" or 36" stainless steel belt. It has our standard black body heaters, which are capable of a maximum 210°C. Programmable set point controllers and reliable mechanical elements, such as stainless steel wear trays, are standard in the MCD model series of dryers, as well.